Forgetting how good they are, what is the best looking unit? I got stuck between the General, naginata samurai, and warrior monks. I chose Bow Warrior Monks. I think it's those towel things that make me like them. Plus they move so lightly, they always seem to be relaxed instead of standing completely upright and to attention. I have to go with Naginata Samurai. 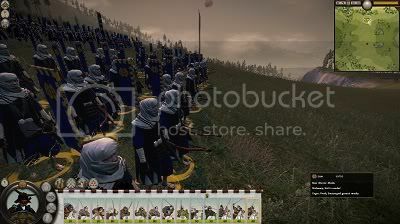 All the Samurai models in game look awesome, in combination with the Naginata which is a cool weapon you can't go wrong. Kisho Ninja are my second favourite appearance-wise. I was stuck between monks and Naginata Samurai. I thought about Kisho Ninja, but I'm not sure if they look great or are a poor excuse to be called ninja. I'll go with Fire Projecting Mangonels: they don't look too impressive themselves, but they've got by far the coolest looking attack! Ah, I have to with Afty on this one Simply because they make various explosions at once instead of 2 spaced out by a couple of seconds each time. Hero units anyone? I gotta go with monk units though. I haven't encountered them yet so can't speak on this one, anyone got a pic? I've only seen them in multiplayer once or twice but that leaves little time to take a close look. I have given them a look in custom battles, but I'm not too keen on them. They have those face masks over their mouths. One thing that is kind of disappointing is that all ashigaru and samurai units look the same. A yari, naganita, and katana samurai are identical except for the weapon they hold. What helps is that each individual man (or woman lol) has different features. Ashigaru all look pretty much the exact same, and so do the horsemen too. So I would definitely vote the naginata warrior monks. For the ships, the Black ship or the Nihon Maru.